The Industrial Symbiosis (IS) Programme delivered by the National Cleaner Production Centre of South Africa (NCPC-SA) at the Council for Scientific and Industrial Research (CSIR) campus has proven to be important in the creation of several synergies that are providing effective recycling opportunities for businesses in, for instance, the production and logistics sectors. 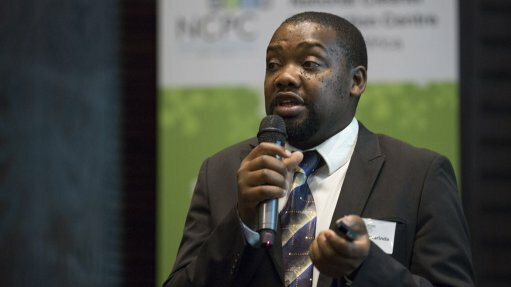 According to IS Programme manager Henry Nuwarinda, the IS Programme is the national resource efficiency programme of the Department of Trade and Industry (DTI), and the NCPC-SA aims to run resource efficiency and cleaner production programmes across eight critical sectors as prescribed by the Industry Policy Action Plan. While the project has been running for about two years, Nuwarinda notes, it continues to expand, attracting companies from across the business spectrum. He adds that companies such as high-density polyethylene manufacturer Nampak, financial services providers ABSA and Standard Bank, State-owned freight logistics utility Transnet and supply chain service company Barloworld have become regular participants at the ‘match-making’ workshops. He notes that the IS Programme provides a platform for companies to identify usable waste resources which could be made available to other companies in different fields. “These companies . . . can be from different sectors, such as agroprocessing, manufacturing, and pulp and paper, as well as tourism. We encourage and facilitate discussion among them so that they can declare which waste they do not need at their facilities and, subsequently, give it to other companies who may be able to use the waste as a secondary in-put resource material in their production processes,” he states. Nuwarinda tells Engineering News that, since the first IS Programme workshop in September 2014, over 2 500 resources have been recorded on the IS Programme database and, to date, seven synergies have been completed between companies. He adds that the synergies have mainly been between companies wanting to give away plastic waste resources, such as polyphenylene , as well as polystyrene, contaminated drums and paper. He adds that the NCPC-SA is facilitating a construction and demolition waste synergy. “The NCPC-SA has had good engagements with construction and demolition waste providers. They have noted that crushed construction and demolition waste can be used as a secondary aggregate material in other related construction processes,” he explains. Nuwarinda notes that, while IS promotes effective waste management, the synergies formed have facilitated job creation. “In the mandatory feedback we received from companies after the conference, we have noted that, with the redistribution of waste and materials, jobs are created to maintain, process and transport the materials,” he states. He notes that the programme, which is free of charge to the companies involved, has resulted in a positive attitude shift towards recycling and waste management across sectors. “As the NCPC-SA is funded by the DTI, all businesses are encouraged to compete in the local and international market and, with that in mind, we plan to change the attitudes of how businesses . . . approach recycling and waste management,” Nuwarinda concludes.